Do you Love duck but cannot be bothered with all those hours of prep work required for that crispy skin aromatic duck? Here is the solution! 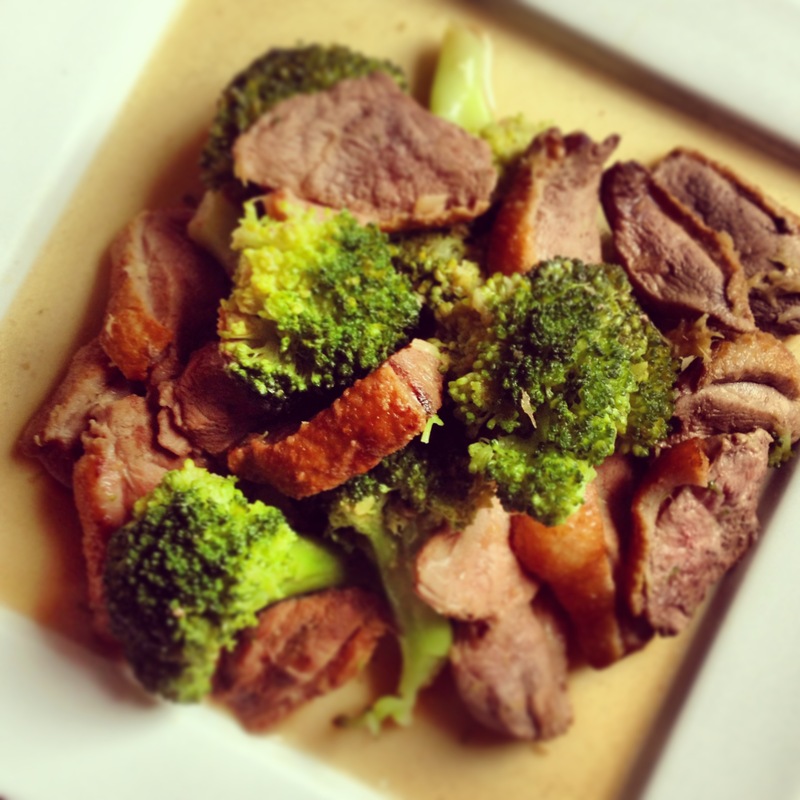 This quick and easy recipe is an alternative to cooking a whole duck! All you need is a wok. 4 fresh ingredients and the rest you might likely have in your store cupboards. It is always best to pan fry, render the fat out to produce that gamey flavour. The natural fat will add so much flavour and coats the duck with moisture. The pan fried fat of the skin really does make this dish a whole lot more flavoursome. Your end result is crispy skins attached to the meats, succulent meat full of flavour and the broccoli soaks up the aromatic sauce. • Cut florets, wash broccoli and bring 800 ml boiling water to the heat. Boil florets on high heat for 6 minutes, drain and set aside. • Pound garlic and ginger with a mortar and pesto or the back of a cleaver, set aside. Wash, pat dry the duck breasts. • Heat a wok on medium high heat settings. Add oil, once hot, place the fat skin side into the wok. Allow the skin to render out its fat and brown the skin until crisp for 2 minutes. • Remove breasts onto chopping board and cut into diagonally bite size, 1 cm slices. Quickly throw the ginger and garlic paste into the wok, stir fry for 10 seconds. 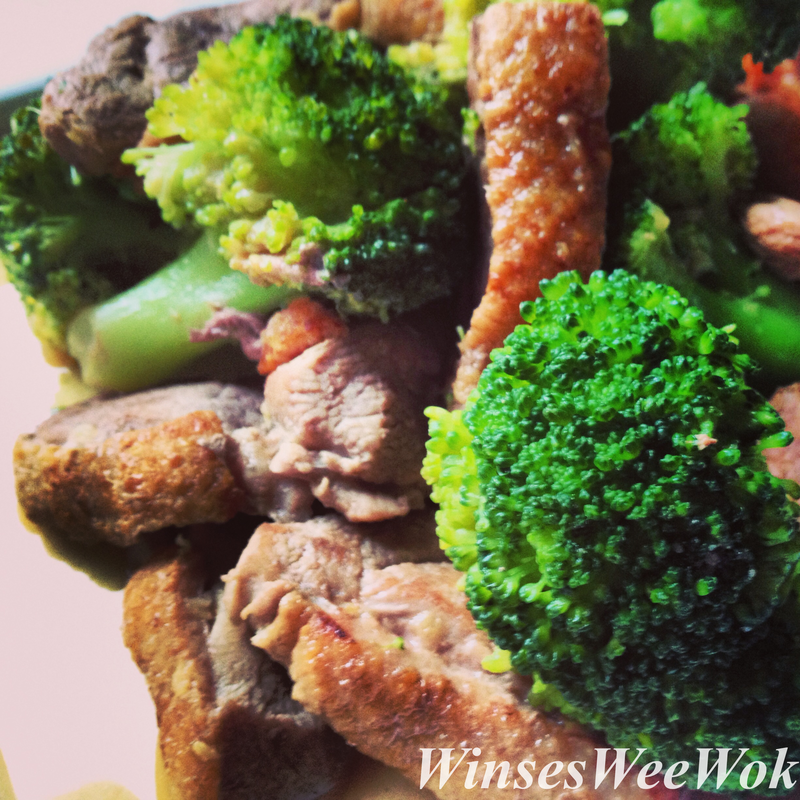 Add duck slices back into the wok and stir fry for 1 ½ minutes. • Add in 50 ml hot water, shoaxing wine, soy sauce, sesame oil, salt and pepper. Toss in the florets and toss for 20 seconds. Serve.